The word “diet” can have a negative connotation, for some people. When you hear the word “diet”, you are likely to think of restrictive diet plans that require you to let go of your favorite foods and pay close attention to how much you eat. When you have tried multiple diets, with no success, instead of looking for another diet, you may want to consider the methods that you are using. Learn how to master the art of mindful eating to start losing weight. Mindful eating is a fairly simple premise. You can eat what you want, when you are hungry. This is not a diet, where you are forced to follow a specific meal plan or include foods that you do not like. The goal of mindful eating is to learn how to listen to your body. You need to learn how to tell when you are full and when you are hungry. Another part of mindful eating is paying attention to what you eat. While you can still eat whatever you want, you will benefit more from including some healthy foods in your meal plan. Why Do People Have Trouble With Diets? There are several problems with a standard diet that can cause people to eat unhealthy food and sabotage their diet. This can lead to weight gain, instead of weight loss. One of the problems is that when you follow a strict diet, you often need to cut out some of your favorite foods. This is where many people fail. As you are forced to give up foods, when you give into the temptation and eat some of your favorite foods, you are more likely to binge out and eat more than you should. 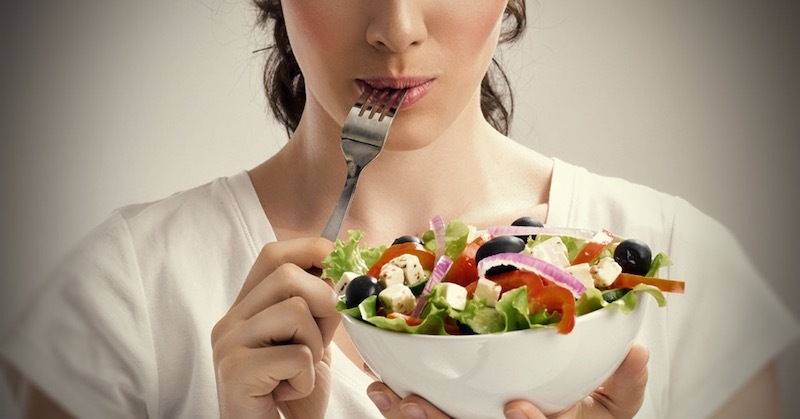 How Can You Start Mindful Eating? Mindful eating is not difficult to learn. First, you need to learn how to tell when you are hungry and when you are not. When you are hungry, you should not starve yourself. This can weaken your metabolism, making it more difficult to lose weight. When you are hungry—eat food; though, you may want to start thinking about the foods that you eat. While you can eat whatever you want, when practicing eating mindfully, it will be beneficial to begin thinking about which foods are best for your health. Actually, when you start making small changes to your meals, including healthy food and eliminating unhealthy food, you will subconsciously begin making healthier decisions about your meals. Next, learn to stop eating when you are full. Pay attention to every bite and every chew. If you can slow down your eating, you allow your body time to catch up. Studies show that it can take up to 15-20 minutes for your body to recognize that you have eaten enough food. The first step in learning how to eat mindfully is to learn how to be more aware of the cues that your body sends to you. Learn how to tell when you are hungry or when you are full. Mindful eating is not overly difficult—find foods that satisfy your mind and body and learn how to communicate with your body. To put it simply—learn how to be mindful about your eating.